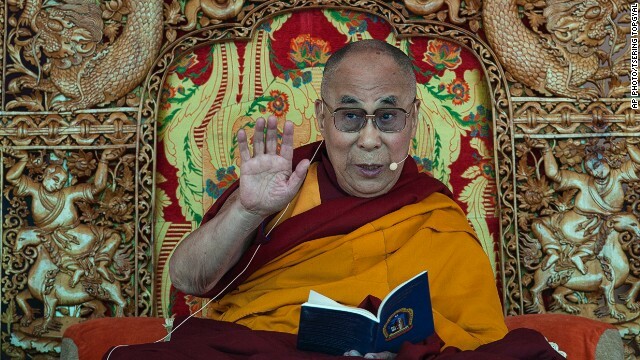 Robbie Barnett, a professor at Columbia University, writes about the recent reporting that the Dalai Lama’s current incarnation — the 14th — might be his last one. Barnett shows convincingly how the Dalai Lama’s words were misunderstood by various news agencies. He also points to the irony of China insisting that the Dalai Lama follow traditional Tibetan systems of recognizing reincarnations — a process the Chinese government would seek to control — instead of innovating a new way of choosing his successor, as the current Dalai Lama has said that he will do. I’ll devote another blog post to the topic of reincarnation in Tibetan Buddhism and the unique role of the Dalai Lama within this system, but I did want to pass along this thoughtful article in the meantime. One last tip: be sure to read about Her Excellency Mrs. Doring in the article! The bawdiness and irreverence of 19th Century Tibetan humor…who knew? This entry was posted in Buddhism and tagged Buddhism, China, Dalai Lama, Her Excellency Mrs Doring, reincarnation, Robbie Barnett, Tibet, Tibetan Buddhism by teachingasianreligions. Bookmark the permalink.